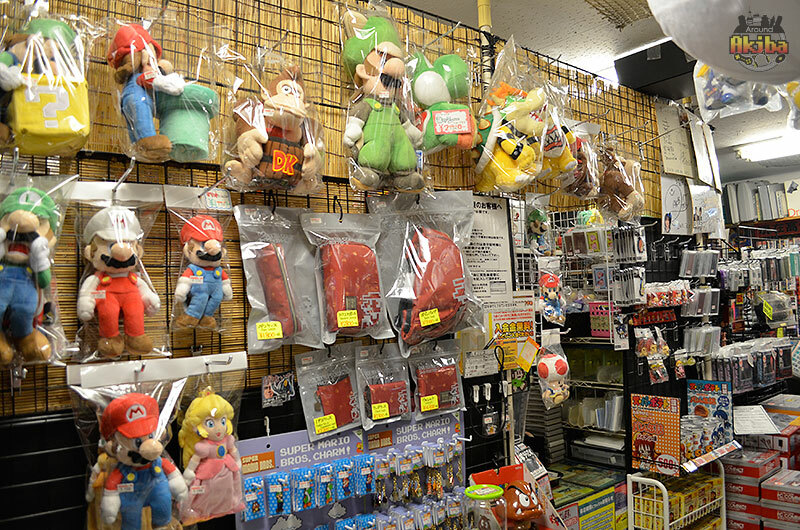 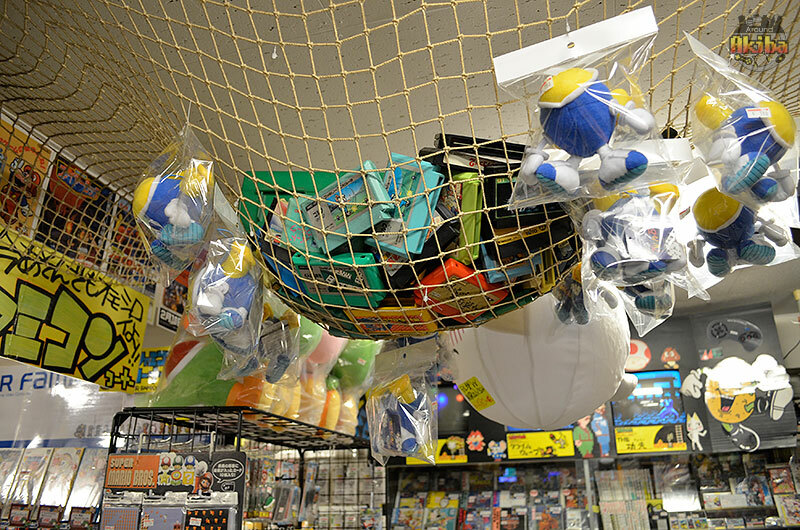 Super Potato is one of Akihabara’s more well-known stores to people outside of Japan. 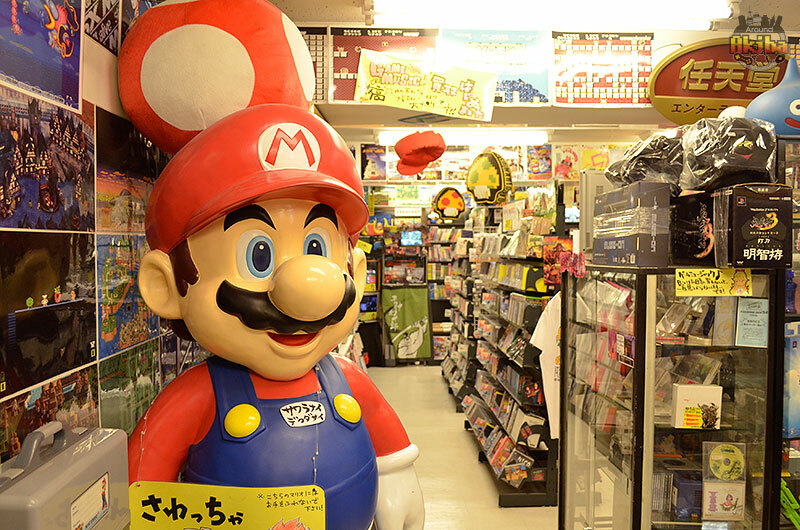 Its reputation as the king of retro gaming stores precedes itself, and for good reason. 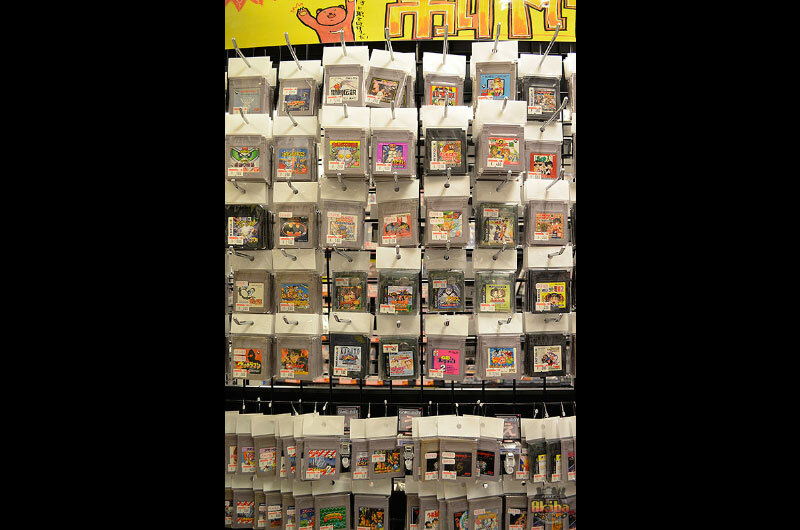 Whether you’re looking for your favorite game from your childhood, or just playing through the classics you missed, Super Potato covers all your gaming needs, even those you didn’t know you had yet! 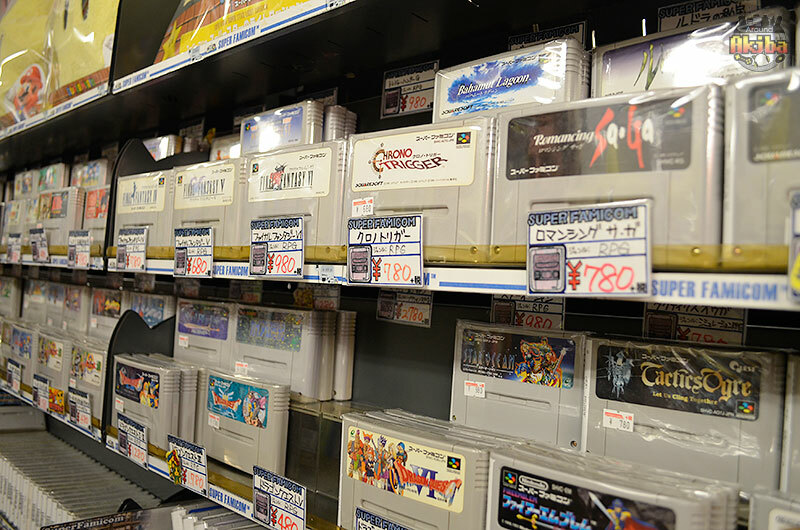 The branch in Akihabara is comprised of the 3rd, 4th, and 5th floors of its building, each overflowing with cartridges, console systems, video game related goods, and much much more. 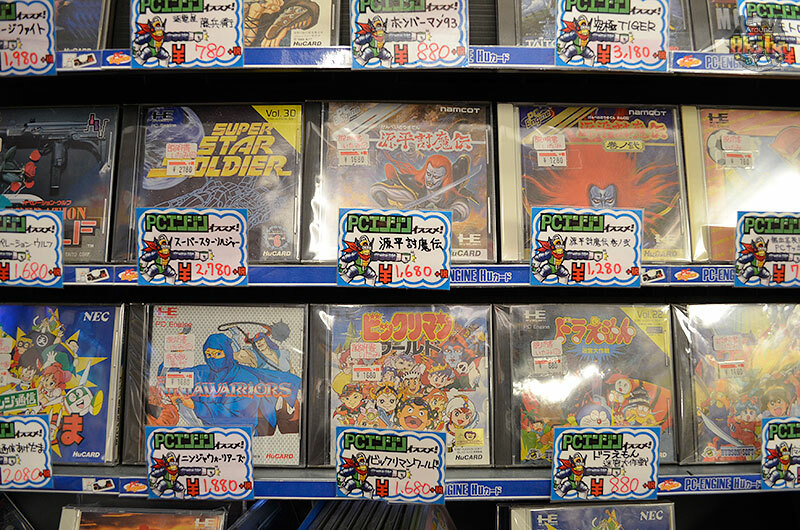 The 3rd floor is mostly dedicated to retro games of the 80s, 90s, and 2000s. 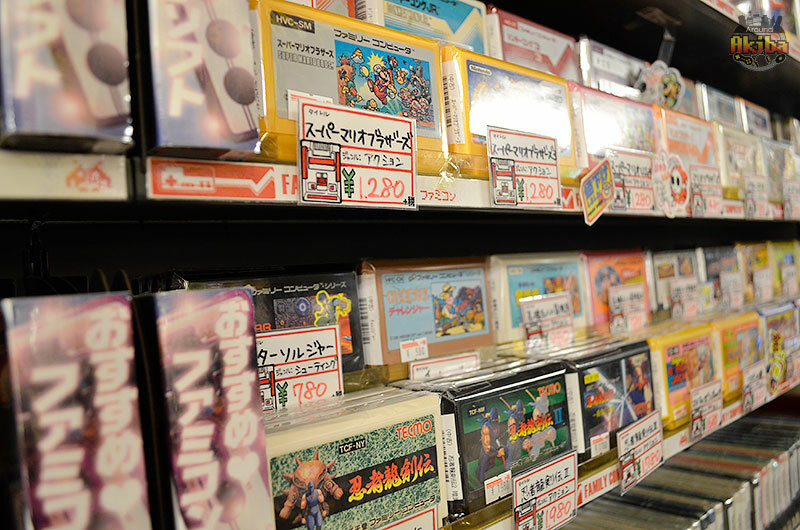 Packed with cart after cart and disc after disc of Famicom, Super Famicom, PC Engine, Sega Master System, Sega Genesis, Sega Saturn, Sega Dreamcast, and more, you’ll find cheap versions of the game itself, and also more collectible versions that are still in the original packaging. 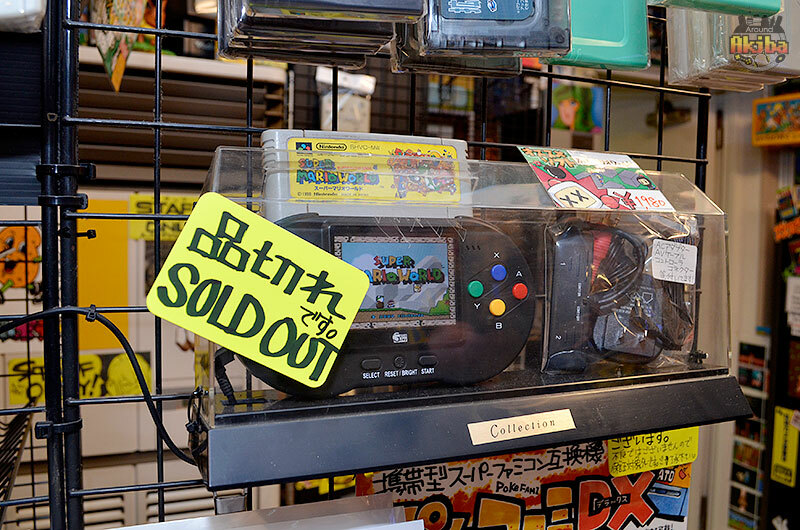 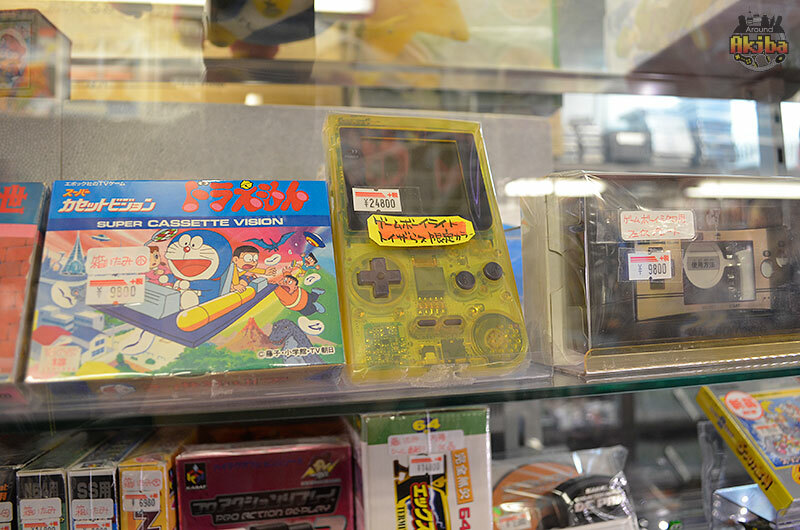 You’ll even find some awesome rare items such as the Famicom disk system, Nintendo Virtual Boy (just like the displays they had in your favorite video store growing up), and some really cool portable systems. 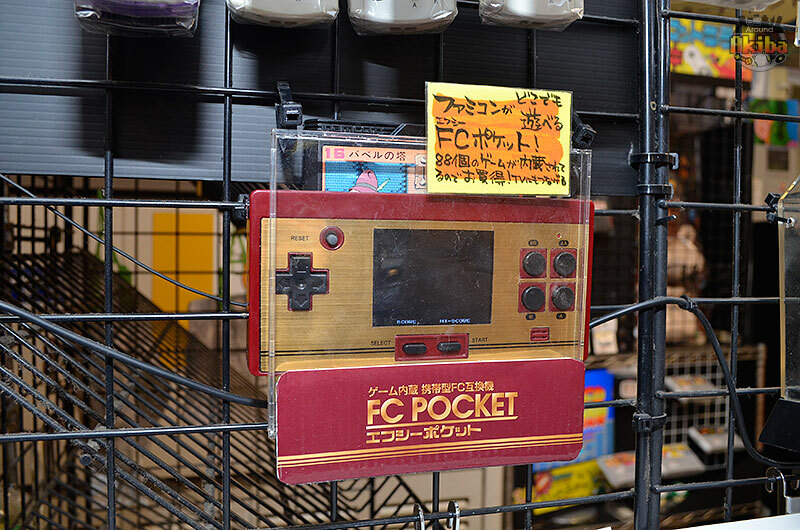 If you haven’t heard of a SupaBoy yet, it’s a handheld system that you can put Super Famicom or Super Nintendo cartridges into and play on the go, like a Game Boy for consoles! 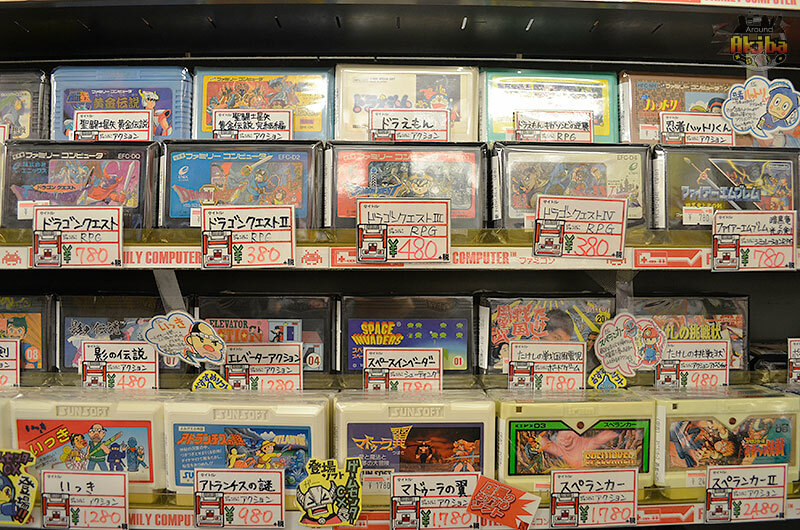 They also have an original Famicom version as well. 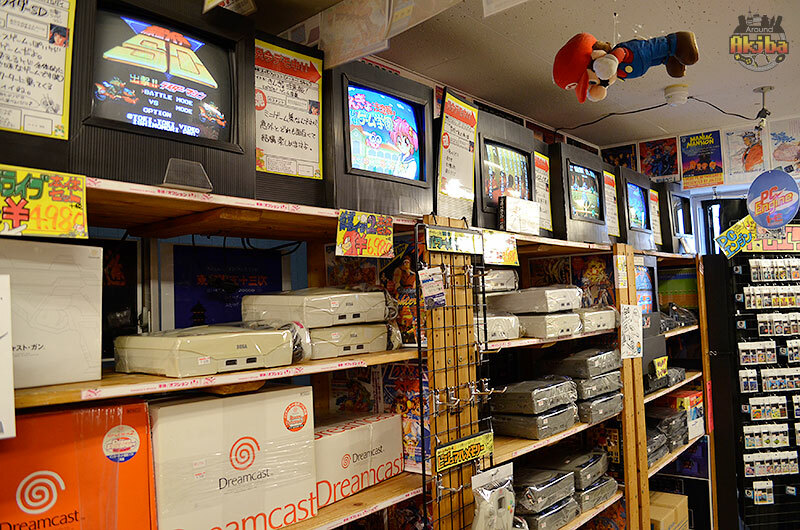 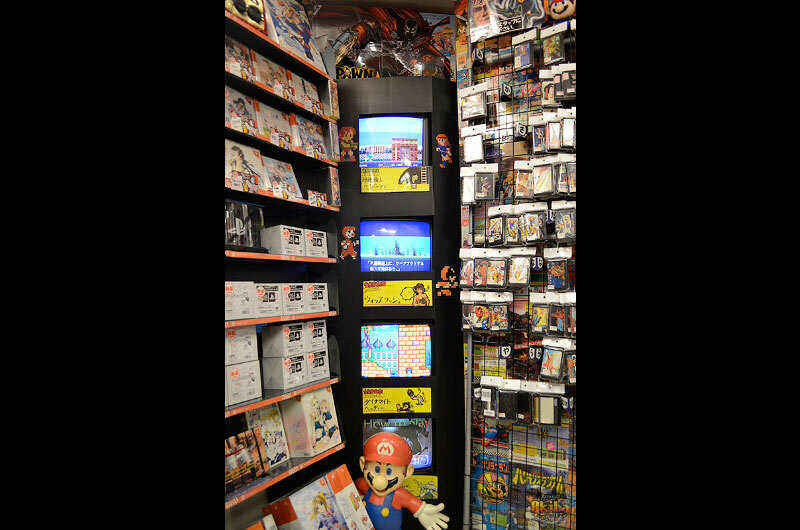 Climbing up the stairs will lead you to the 4th floor which features slightly newer games for all the Game Boy variants through the years, Playstation, Playstation 2, Nintendo 64, and more. 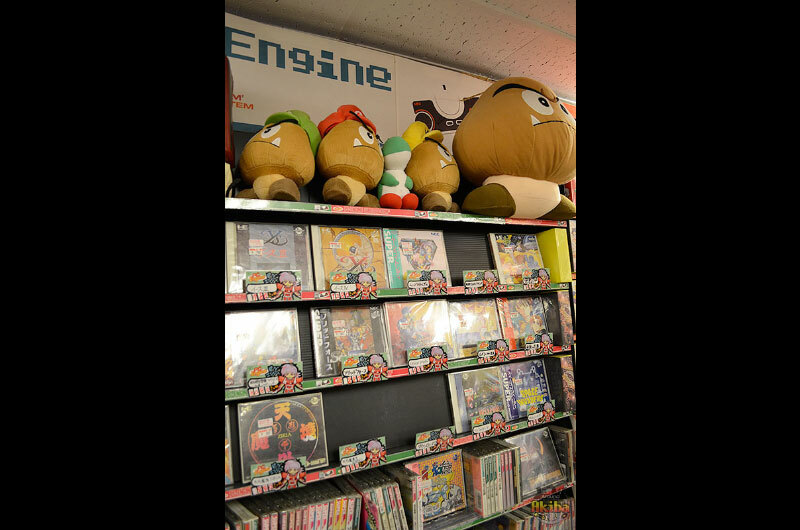 There are also retro game guides and lots of miscellaneous video game themed goods, like plushies, posters, and game music! 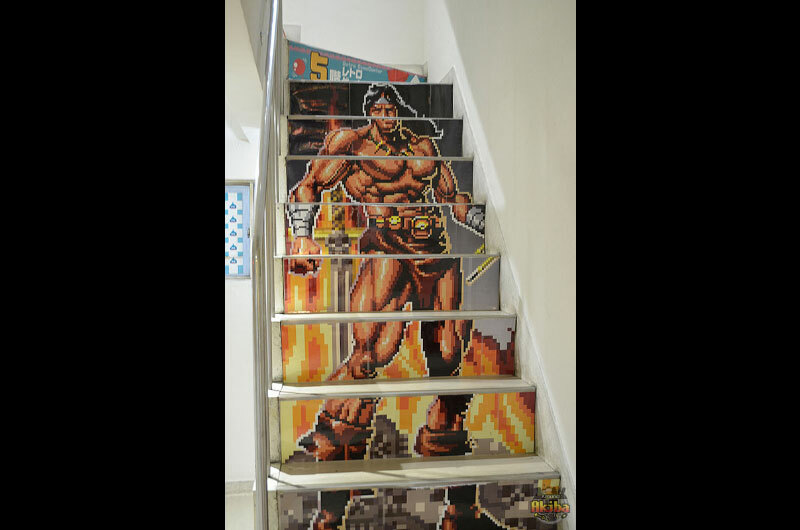 The next set of particularly manly stairs will lead you to the 5th, or top floor, which has been turned into a retro arcade! 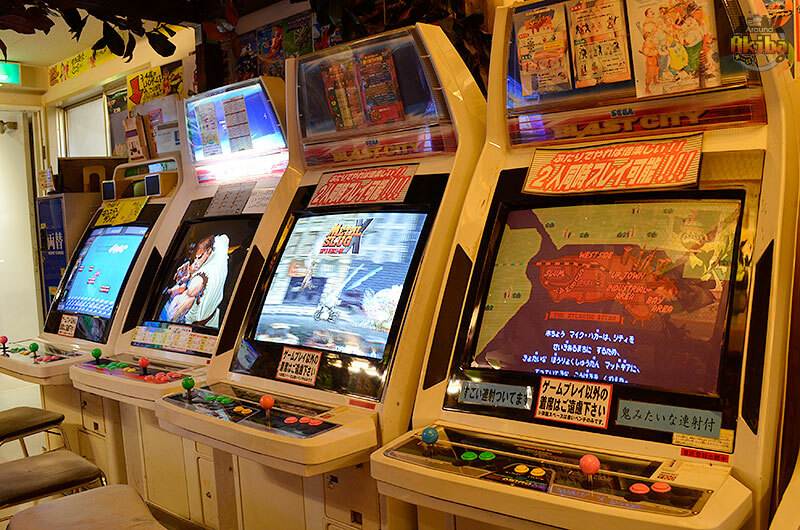 You’ll notice many of the arcade classics like Street Fighter II, Metal Slug, King of Fighters, Final Fight, and a lot of others. 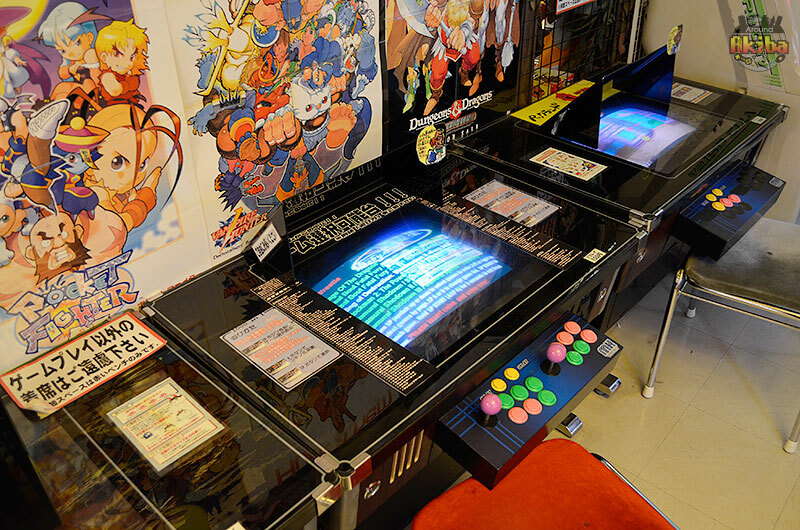 They even have the cool table-top arcade machines you might remember playing Pac-Man or Space Invaders on! 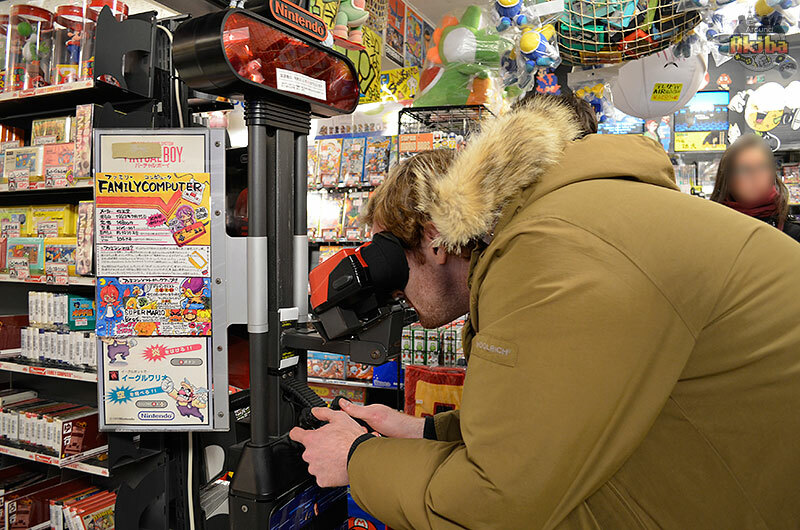 If you get hungry or thirsty during you arcade marathon, worry not! 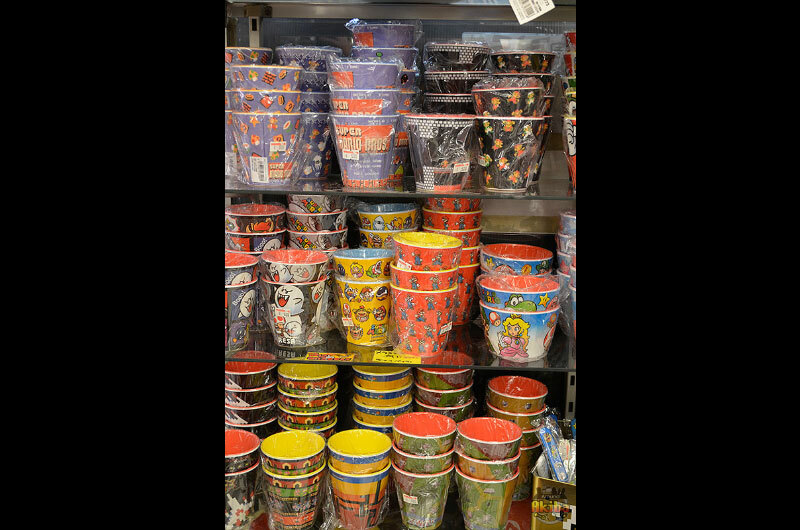 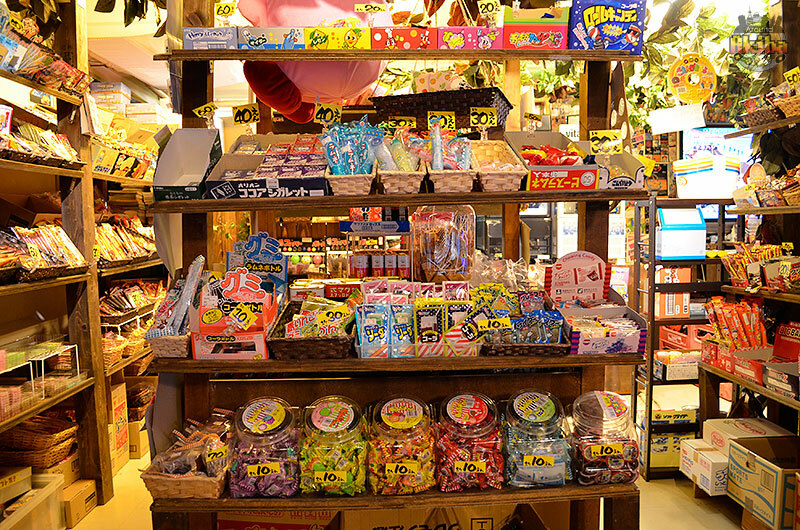 They also have a great selection of Japanese snacks and treats called dagashi. 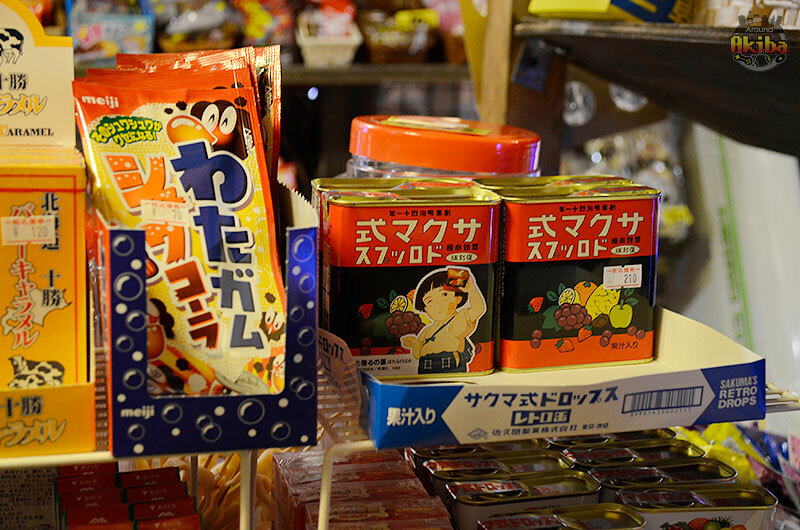 With such a wide variety available, you can try all of them and enjoy the traditional experience. 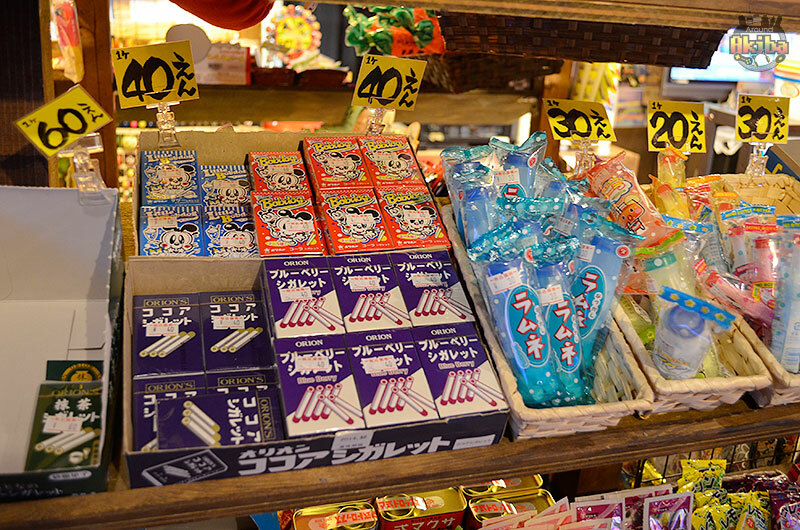 They even have those old candy cigarettes your mom wouldn’t let you get! 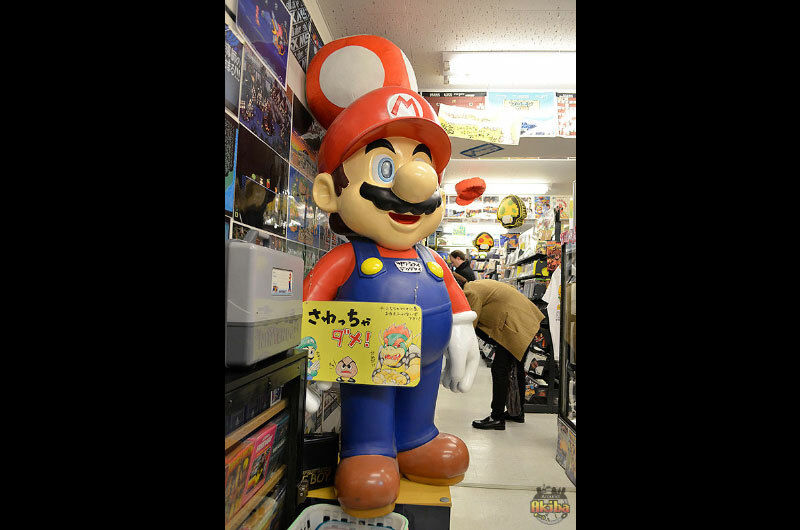 Super Potato is a great store full of memories and discoveries. 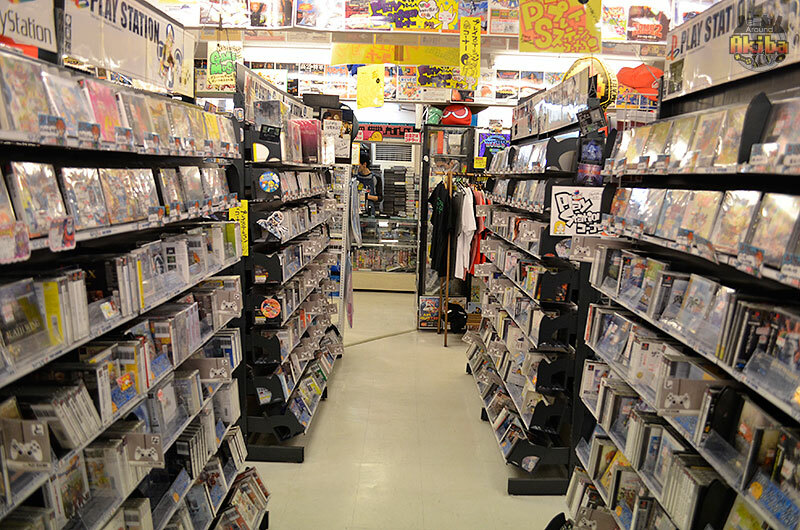 If you’re looking for something in particular you can find it and be in and out, or you can leisurely enjoy looking through shelf after shelf of games at your own pace. 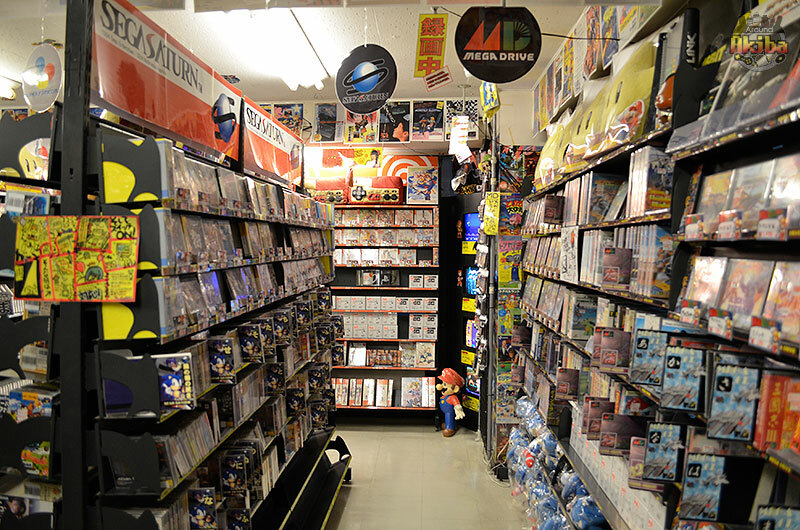 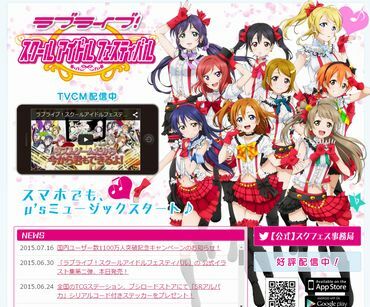 Whatever the reason, visiting is definitely a must whenever you’re around Akiba! 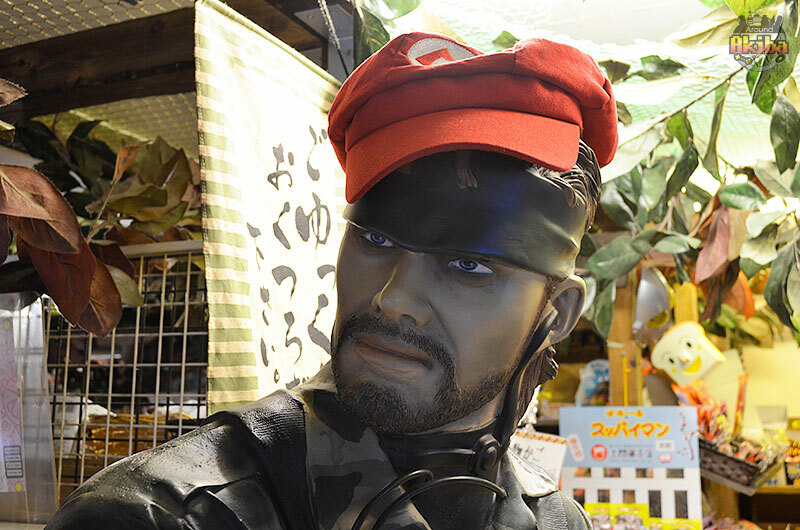 Hi, I’m Nate. 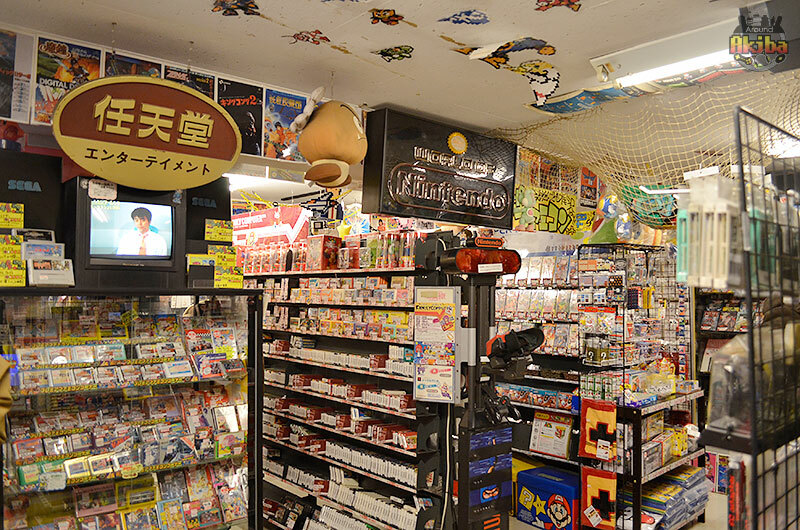 I’ve been learning about Japan since I was a kid and have lived here for 3.5 years and counting. 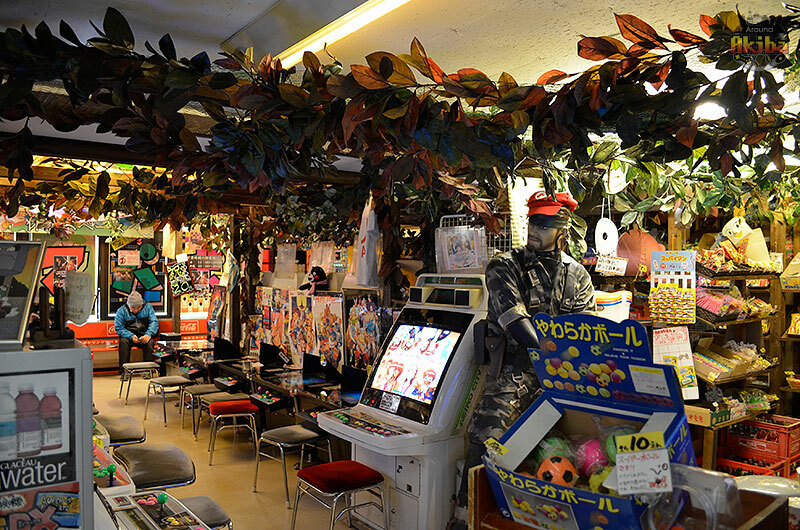 I used to compete professionally in yo-yoing, and have always loved video games, especially fighting games. 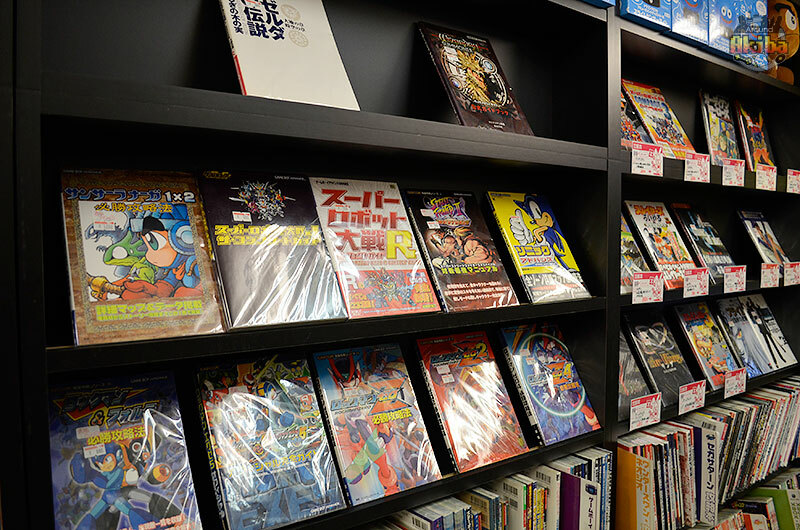 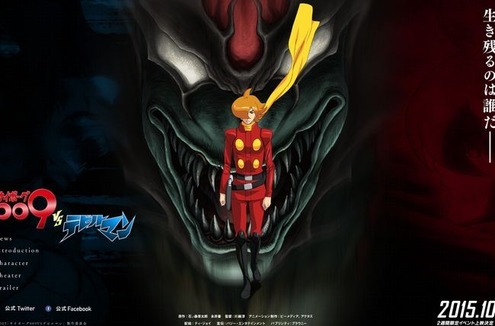 Not a huge anime/manga buff, but my favorites are One Piece and Slam Dunk. 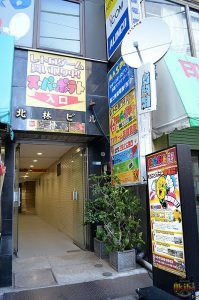 Bathe with Japan ・LUSH bath bombs to be sold WORLDWIDE!